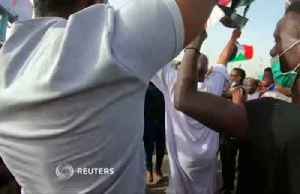 Thousands of anti-government protesters camped outside the Defence Ministry headquarters in Khartoum on Wednesday danced, sang and chanted slogans calling on President Omar al-Bashir to step down as..
KHARTOUM, Sudan (AP) — Sudan’s new military rulers arrested ousted President Omar al-Bashir’s two brothers for corruption, part of a broad sweep against officials and supporters of the former..
Sudan's deposed president Omar Al Bashir has been transferred to a maximum security prison just a week after being forced from office by the military following four months of mass rallies against his..
KHARTOUM (Reuters) - Sudan's defense minister stepped down abruptly on Friday as head of the country's transitional ruling military council after only a day in the post, as protesters demanded quicker.. 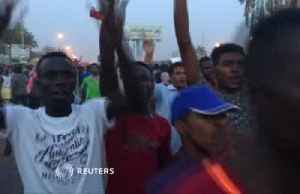 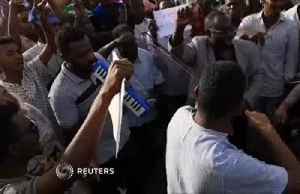 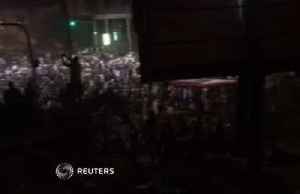 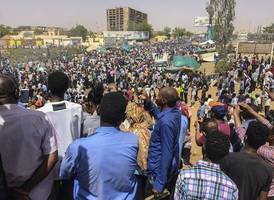 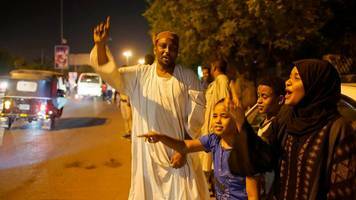 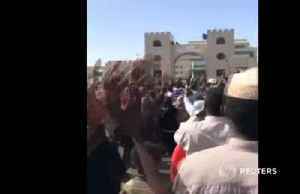 Hundreds of thousands of demonstrators thronged the streets surrounding Sudan's defense ministry compound in the capital Khartoum on Friday, a Reuters witness said. 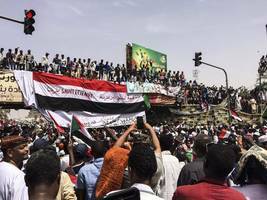 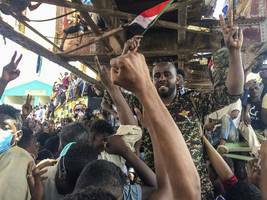 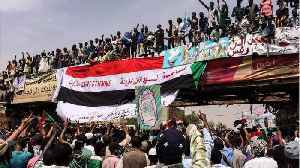 CAIRO — The Sudanese army will not extradite deposed President Omar al-Bashir but will put him on trial at home, before the nation, the military said Friday as it defended its ouster of the longtime..
Thousands of Sudanese demonstrators camped outside the defense ministry in Khartoum to push for a civilian government, defying a curfew and calling for mass prayers after the military overthrew Omar..
A military council took control of Sudan early on Thursday after arresting longtime President Omar al-Bashir after weeks of opposition protests gained momentum and support from the military, according..
Thousands of people packed the streets of the Sudanese capital Khartoum on Thursday to protest against the army's announcement that President Omar al-Bashir would be replaced by a military-led.. 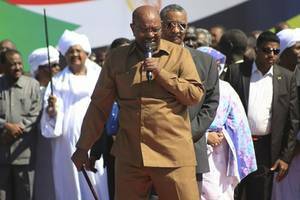 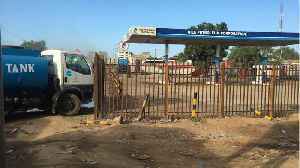 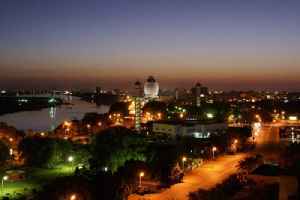 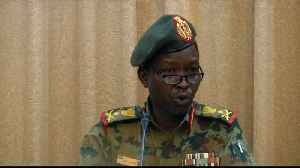 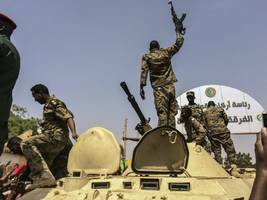 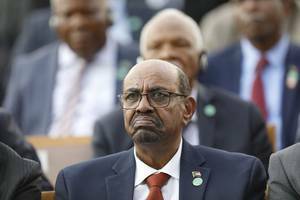 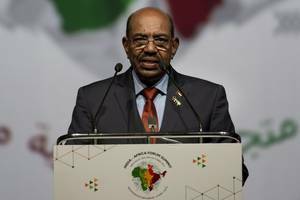 Soldiers raided the headquarters of the Islamic movement led by Sudan's Omar al-Bashir in the capital Khartoum on Thursday, a Reuters witness said. 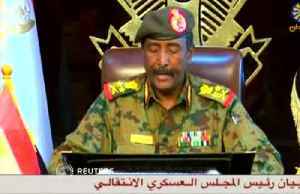 Sudan's armed forces will make an important announcement soon, state television said on Thursday as troops were deployed in Khartoum and sources reported a coup attempt against President Omar al-Bashir..
Sudan's army deployed troops around the defense ministry, while soldiers and security agency personnel were deployed on key roads and bridges in Khartoum early on Thursday, as thousands of people..
Eleven people were killed in the Sudanese capital Khartoum on Tuesday, including six members of "state forces", the government's spokesman said on Wednesday, as protesters campaign for an end to..
Eleven people were killed during security incidents in the capital Khartoum on Tuesday, including six members of "state forces", the information minister said on Wednesday, citing a report by the..
CAIRO - Support within Sudan for embattled President Omar al-Bashir seems be waning as some ranks in the army, a major pillar of his three decades in power, appear to be tilting towards the..